Rumour No. 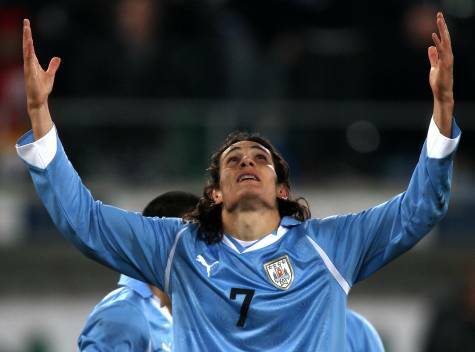 1: Manchester City are hoping to pinch Palermo’s Uruguayan striker Edinson Cavani on the cheap in the summer. The 23-year-old forward is currently close to negotiating a new contract with the Italian side (which would reportedly include a £25 million release clause) but City boss Roberto Mancini has met with the player’s agent in the hope that Cavani will invoke a clause in his current deal that would allow him to leave Italy in a ‘cut-price’ deal. Rumour No. 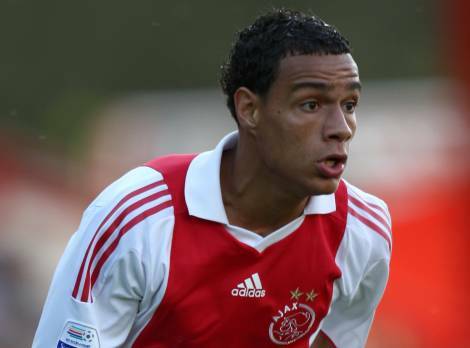 2: Arsenal are ready to move for long-term target Gregory van der Wiel at the end of the season. Manager Arsene Wenger is a known admirer of the 22-year-old Ajax right back, and is keen to reunite Van der Wiel with his former team mate, Thomas Vermaelen, in the Gunner’s back four. The Best of the Rest: Manchester City are being linked with quite a few players in this morning’s gossip columns, including Grenoble’s young French winger Sofiane Feghouli, Boca Juniors’ veteran schemer Juan Roman Riquelme and highly-rated Roma defender Phillippe Mexes. Blackburn Rovers are weighing up a swap deal for Palermo’s Australian midfielder Mark Bresciano that would see Morten Gamst Pedersen moving the other way. Stoke City are planning a move for Tottenham’s Jamie O’Hara, who is currently on loan at Portsmouth. Birmingham boss Alex McLeish has admitted that the club are in talks with Rangers striker Kris Boyd. Brum are also set to turn to Notts County ‘keeper Kasper Schmeichel should they be unable to secure Joe Hart‘s services for a further year. Free agent Dusko Tosic looks set to join QPR after his proposed move to Swansea fell through last week. Seems weird that Arsene would be going for a right back now while Eboue has been coming on strong and Sagna has been solid as ever. I would think CB is where he needs to be looking if Gallas and Silvestre are on their ways out, Sol’s too old and he doesn’t like Senderos even when he comes back from his loan deal. That leaves Verm and Djourou, and that’s it.